This tour will explore two very different Palestinian cities, one each on either side of Jerusalem, and will take you into the bizarre world of Palestinian transportation issues. Traveling from Bethlehem to Ramallah takes about 20 minutes by car through Jerusalem. However due to the Israeli restrictions on Palestinian movement, the people of Bethlehem and the southern West Bank are forced to travel on a circuitous route to Ramallah which takes about 1 1/2 hours or more, along 'Palestinian Only' roads for most of the trip, and subjected to close scrutiny at several checkpoints. You are invited to share this journey. 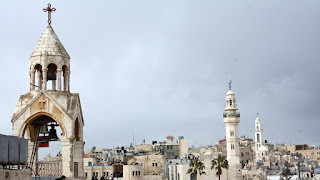 Every tour keeps the needs of the group in mind and is run slightly differently, but from Jerusalem the tour usually travels first to meet your guide, then heads down Wadi (valley) al-Naar which bypasses Jerusalem to the south and east, passing settlements, the Separation Barrier, and Palestinian villages en-route. At the end of the Wadi you will be driven through the Container Checkpoint and enter the village of Sawahreh which is essentially a suburb of east Jerusalem, linked to the city through Abu Dis, while being cut off from Jerusalem by the Separation Barrier. From Adu Dis the tour typically continues past Ma'ale Adumim, the largest settlement in the West Bank, traveling on a shared Israeli/Palestinian highway that may soon be cut off to Palestinians due to the new small roads Israel is building to divert Palestinian traffic traveling from the north to the south of the West Bank. 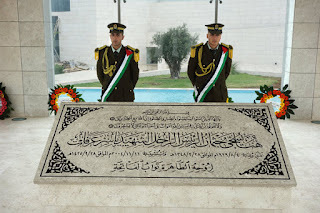 The tour will then travel to Ramallah, where you will visit Arafat's Tomb and walk the streets of this bustling city. You will be able to try typical food and chat with the friendly locals. The guide also arranges a meeting with people from Ramallah, which varies from week to week. On the way out of the city you will pass the neighborhood of Kufr Akab. The Separation Barrier divides the neighborhood from Jerusalem although it is part of the municipality and the residents pay city taxes. Only people with foreign passports, and Palestinians with permits or Israeli ID cards are allowed to travel directly to Jerusalem through the checkpoint. If you want experience the notorious Qalandiya checkpoint as most Palestinians do, it will usually be possible to pass the check point on foot. Once back in Jerusalem, you will be amazed how quick the journey is to Bethlehem via the modern highway. Inside the city, the group will be given a variety of options for lunch including different traditional Palestinian foods. 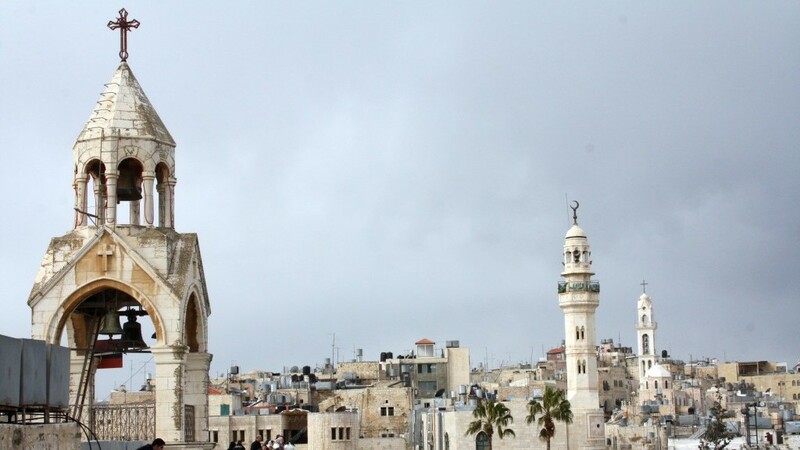 You will visit the Church of the Nativity, and walk through the Old City before seeing the Separation Wall and engaging in a discussion with the guide about the cultural, religious, and economic impact of the Barrier, and its effect on life in Bethlehem. There will be a visit to a Palestinian Refugee camp as well as the Walled Off Hotel - the subversive project of British graffiti artist Banksy. 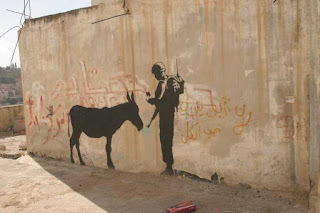 Before heading back to Jerusalem you will also see some of his original work painted around the city.